This text was initially published by The Financial Times. The European Central Bank improperly veered into political activity during the eurozone crisis and should withdraw from the “troika” of international bailout monitors, according to anti-corruption watchdog Transparency International. In a review of the central bank’s actions, carried out in co-operation with ECB officials, the report called on the ECB to be placed under greater scrutiny by EU institutions, saying its mandate to ensure price stability in the eurozone had been pushed to “breaking point” in tackling the crisis. “The ECB’s accountability framework is not appropriate for the far-reaching political decisions taken by the governing council,” said the report written by Benjamin Braun, an economist at Harvard. The report’s findings echo criticism of the ECB from several eurozone governments for its role during the bloc’s financial crisis, but are likely to be taken seriously within the bank because of its role in allowing Transparency International to review its actions. The warnings come as the ECB has assumed greater power to regulate eurozone banks in recent years and as EU authorities prepare to “bail in” Italy’s oldest bank, Monte dei Paschi di Siena, this year. The ECB is also still part of the lenders involved in Greece’s third international bailout. As part of its recommendations, Transparency International urged the ECB to make public all its decisions and opinions, and praised the central bank’s decision to publish the diaries of its senior policymakers. It also recommended the central bank no longer monitor international bailouts, something it has been doing alongside the European Commission and International Monetary Fund. Under EU treaty law, the ECB has a narrow but strict mandate to ensure “price stability”, which has been interpreted as an inflation target of just under 2 per cent. However, Transparency International warned that the bank’s sacrosanct independence had afforded the ECB “an extraordinary degree of latitude” to make significant decisions during the eurozone crisis, which first engulfed Ireland, Portugal and Greece in 2010 before spreading to Spain and Cyprus in the years that followed. These included “secret” letters sent from the bank to the governments of Spain and Italy, which made clear that ECB bond-buying was conditional on economic reform efforts and a decision to remove ordinary funding for Greek banks following the election of the Syriza government in 2015. 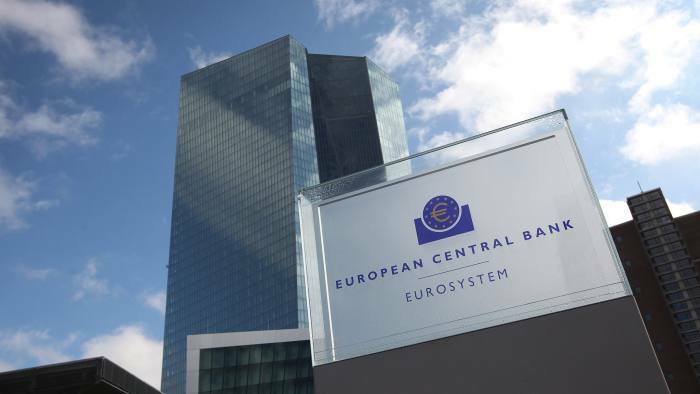 Such episodes highlighted the “severe strain on the institutional arrangement that underpins the ECB’s partial exemption from the principle of democratic accountability”, said the report. This powerful role, where the ECB has pressured governments and financial systems, risked repeating itself in the upcoming negotiations with Greece and with the recapitalisation of Italian bank MPS, “which threaten the eurozone’s current fragile stability”, added the report. Italy’s government has already lashed out at the ECB’s role in the MPS rescue after the central bank’s supervisory arm increased the lender’s projected capital black hole from €5bn to €8.8bn late last year. The ECB had been forced to make public the diaries of its governing council members after its top central bankers came under fire for meeting bankers and asset managers hours before big policy decisions. Its role in banking bailouts has also been questioned. In 2015, former ECB president Jean-Claude Trichet appeared before a parliamentary committee in Ireland, where he denied ordering the government to bail out its financial system at all costs. As part of its third bailout, Greece has urged the ECB to include the country in its eurozone-wide quantitative easing measures to help ease the strain on the economy. But the central bank has said it will not take on the risk of buying Greek bonds before it has assurances about the sustainability of its debt. To avoid “mission creep” and political interference, the report urged the ECB to first gain the assent of the president of the eurozone’s finance ministers and the European Parliament before making any demands on governments in exchange for its financial support. Mario Draghi, ECB president, welcomed Transparency International’s recommendations, but added that some of them would fall outside of the bank’s mandate and its obligations as set out in the eurozone’s treaties. “It is the duty of European institutions to further strengthen their legitimacy both by reinforcing their democratic accountability and by showing that they meet the objectives they’ve been entrusted with,” said Mr Draghi. The report also criticised the role of national governments and authorities who were “all too keen to shirk their responsibilities and let unelected technocrats to do the ‘dirty work’ for them”. The full article you can read from FT’s original publication.